Being pregnant is indeed a blessed thing but along with that it happens to be a great responsibility as well. As an expectant woman, you must take great care of yourself and the health of the baby growing within you. 1. Smoking: It is a bad habit for anyone and for pregnant women it’s surely to be avoided strictly. Whether active or passive, smoking can be injurious to health of both the mother and the baby. Smoking can make it difficult for a baby to grow normally inside the mother’s womb. 2. Alcohol: Alcohol has some bad effects on human body and it’s poison for pregnant women. You have to understand that if you are consuming alcohol during pregnancy then your baby is consuming it too and unlike you, the babies have no level of alcohol tolerance. It will harm them badly and that can cause many physical defects to the baby. 3. Heavy exercises: Doctors always say that light exercises are good for pregnant women and the baby’s health. However, you must never try to take it too far and go for heavy exercises. The babies live in a very delicate situation in the mother’s womb and any kind of pressure can be really harmful for you and the baby. 4. 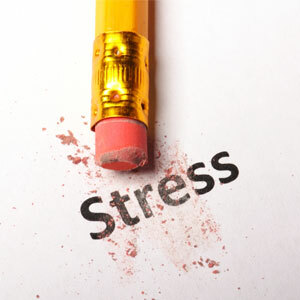 Stress: Both physical and mental stress are bad for to be mothers and the unborn babies. If you are pregnant then you must make sure that you are not doing stressful work. You must try to be tension free. If you find it tough to maintain this then meditation can be the best solution for you, it will help you to relax your mind and remain stress free. 5. No over the counter medicines: Over the counter medicines are never good for your health when you are pregnant. If you have a headache then you must ask your doctor what you should do rather than taking aspirin as that is too a over the counter medicine. 6. Low cooked foods: Low cooked food items, like sea food, should always be avoided during pregnancy. You must also avoid food items with too much oil and spices. Controlling your appetite for junk food is very essential if you are pregnant. 7. Vitamin A supplements: Over dosage of vitamin A can be toxic for the baby and create defects in the baby. This is why you must avoid the vitamin A supplements as much as possible. 8. Fish with mercury: There are many fishes which contain mercury and you must always avoid them. Mercury is very bad for unborn babies and it can cause brain damages too. Fishes like shark or tuna has mercury in them and they should be avoided completely. Your doctor will surely prescribe you a diet and you must follow it strictly. 9. Caffeine: Caffeine is present in coffee, tea and soda and it has addictive qualities. They can be harmful for the heart of your baby.